Earn $0.49 in VIP credit (49 points)What's This? 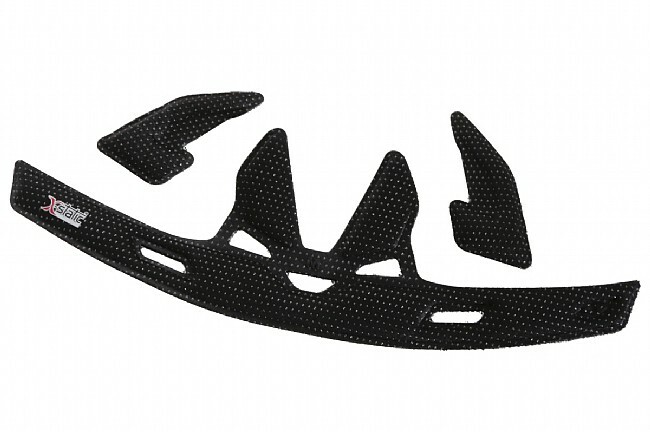 Replace the worn out pads in Giro Montaro MTB helmets with this factory X-Static Pad Kit from Giro. Had to buy this because Giro didn't come through with replacement pads, like they said!! Bought the Giro helmet and 6 months later the headband (front) pad was coming unstuck from it's velcro base. Pretty poor! My first Giro helmet and I am disappointed!! Previously had always had good luck with a cheaper helmet, no problems with the padding. Much better. Do yourself a favor and buy 2. Never have a stink bomb around your skull again. the replacement pad kit improved the helmet fit dramatically, better even, it seems, than when the helmet was new. The giro montaro helmet, although really nice, seems to get gunked up and smelly after a few sweaty riding sessions. Once it got so bad that it began to irritate my skin. You can wash the pads but that only works a few times... best solution is just to replace them. Although these aren't the same color as the pads that came in my original helmet, I don't care. These are perfect for the job. Fit my Montaro Giro mips helmet perfectly. The ones my helmet came with were coming apart so I ordered these and they fit like a charm. Great service and super fast shipping! Great Replacement Pads at a Great Price! Perfect replacement pads for my Giro Montaro MIPS helmet. I actually bought 2 replacement sets, and I alternate and wash them every ride.